A new Doc is in the house and he’s wearing a whole new set of outfits… including exceptionally bada** kicks! See the new outfit and tell us what you think. Ohhhhh, Doctor! Are those Doc Martins on your feet? 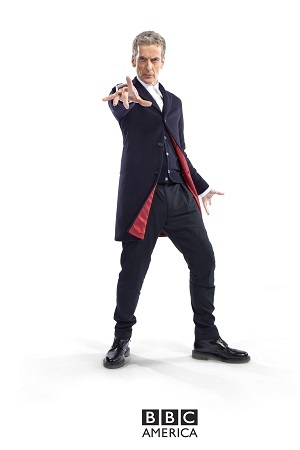 The BBC has released the first image of Peter Capaldi’s Doctor on Doctor Who decked out in his new ensemble. It’s an interesting, yet decidedly plain, look. There’s a classic, gentlemanly vibe to the Doctor’s pants and long suit jacket that fits his, ahem, maturity. However, the shiny boots on his feet add a nice youthfulness to his look. The Doctor’s look is always something taken with utmost seriousness. Even back in the day, before the show became an international hit, each man who took on the role of the Doctor took his wardrobe choice quite seriously. From that fabulously striped scarf, to a certain short-lived leather jacket, to that infinitely cool bow tie, fez or Stetson, no part of the Doctor’s look goes unplanned. Capaldi and showrunner Steven Moffatt had plenty to say about the new look. “He’s woven the future from the cloth of the past. Simple, stark and back to basics. 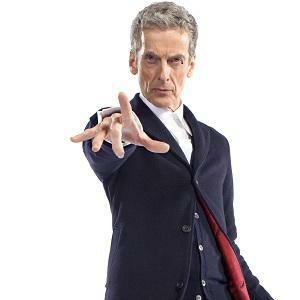 No frills, no scarf, no messing, just 100 percent Rebel Time Lord,” Capaldi told BBC. The look is really quite fetching, right? He may be considerably older than the latest round of Doctors, but we’d still take a spin in his TARDIS. No official return date has been announced for the new series of Doctor Who just yet, but the cast have been spotted filming across Cardiff, including a sighting of Capaldi in a night shirt on a horse. We’re terribly sad about missing out on seeing that! We’re certain to see it on our televisions later this year, though. As always, the Doctor is all dressed up with everywhere (and everywhen) to go!